Use the HeadHunter retainer band kit as a replacement for the showstopper slip tip kits. The Retainer Band applies a constant tension to the slip tip, keeping it mounted on the injector piece until deploys on your shot. 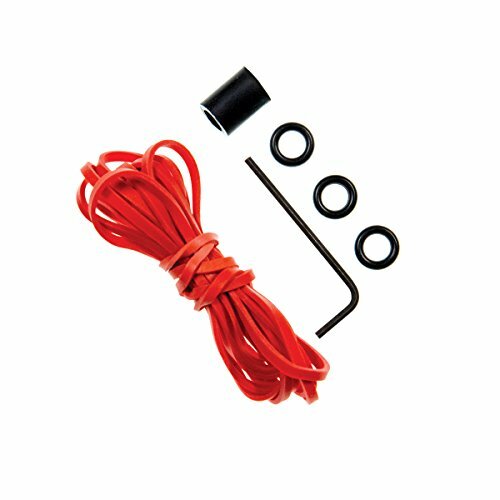 HeadHunter Replacement Slip Tip Retainer Band Kit includes 6 red rubber bands, three O-rings, a rubber stopper, and a 3/32 hex key.